713 Locksmith Houston provides rekey services for residential, automotive, and commercial customers at any time of day or night. As an established locksmith company with 5+ years experience, we offer complete locksmith service to residents of Houston, TX and surrounding areas with up front pricing. With our friendly and expert technicians, and our latest high tech equipment, we are able to provide our customers with the very latest in security as well as speed in rekeying your locks. When rekeying a lock, we alter the lock so that only a new key will work. This involves changing the configuration of the locking mechanism, rather than changing the entire lock, so that the old key will no longer function. It is not necessary to replace the entire lock. Lock rekeying often needs to be done when keys are lost or stolen. Rekeying is also carried out when there is a security problem due to too many people having a key or moving into a new home or business. 713 Locksmith Houston is dedicated to assisting our customers promptly and no matter what hour or day we are called on, our mobile locksmiths can provide you with 24x7 locksmith service with a speedy response time. Our vans are fully equipped with the latest, state-of-the-art equipment required to make the necessary changes. Keys and locks are two of the most important security devices in today’s world. Therefore, it is important that a lock rekey be done whenever there is a change in your circumstances. We are proud of our highly trained, licensed, bonded, and insured technicians who provide fast and friendly service for residential, automotive, and commercial lock rekey jobs. It is much less expensive to rekey rather than replace a lock since the mechanism is already in place. When you call us, we will be sure to let you know whether a lock rekey is required, or if it is more advisable to replace the entire lock. We are proud to rekey any kind of lock regardless of its location. 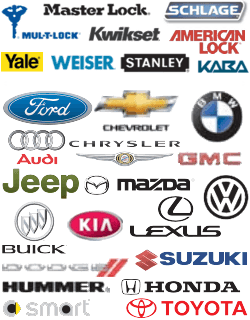 We are also happy to provide rekey service for car locks with our 24x7 locksmith service. Rekeying may be done for an automobile door lock, trunk lock, or ignition switch. 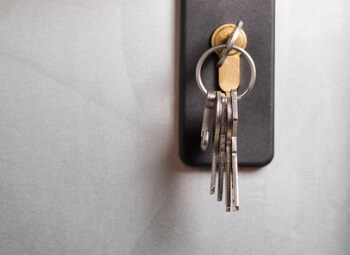 If you happen to lose your car key, we can also rekey both the car door and ignition locks so that you don’t have to carry around two different sets of keys. In today’s world, it is important than ever that utmost care be taken in the protection of one’s home, car, or business. At 713 Locksmith Houston, our entire staff is dedicated to making this possible with our lock rekey services. A good lock and key will discourage entry by unauthorized persons and provide safety for the inhabitants of a home or business, and the owner of a car. It is our goal to assist in supplying this protection. We are proud of the guaranteed service that we offer our customers in Houston, TX and surrounding areas. Not only are we able to provide complete locksmith services 24/7 but we offer up front pricing as well. Our entire staff at 713 Locksmith Houston is dedicated to providing customer satisfaction and will be happy to answer any questions you may have. When you need a lock rekey done by highly trained personnel who provide fast and friendly service, give us a call. We are here to serve you and have the endorsement of many satisfied customers in Houston, TX and surrounding areas. 713 Locksmith Houston is Your Car, Home, and Office Lock Rekey Pro! Lock Rekey http://713locksmith.com/lock-rekey/ 3.9/5 based upon 17 reviews.